My professional career started in 1993 as a school counselor till I joined Institute of Applied Psychology, University of the Punjab in 2002. I got 1st position in MSc in the Department of Applied Psychology. I self-funded and completed my PhD while serving the University in 2012. I have earned Performance Evaluation Awards from University of the Punjab, Lahore Pakistan for the year 2006, 2007, 2008, 2010, 2012, 2013, 2014, 2015 & 2016. My interest and hard work in research made me earn nine research grants from year 2008 to 2016 as well as Incentive awards for publications for the year 2013, 2014 and 2015. 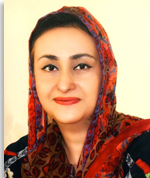 I was elected as member Senate, University of the Punjab in 2007. I am an associate editor for Journal of Behavioral Sciences and currently reviewer for more than seven national and international journals. It was a great honor for me when my profile was published in the book of High Achievers “Light, Courage and Love” that paid tribute to all high achievers of Kinnaird College from 1913 to 2013. I did my post doctorate research from Division of Psychiatry and Applied Psychology School of Medicine, University of Nottingham. It was a very rich international exposure for learning and research. I have presented at multiple national and international conferences and my research has been published in impact factor and HEC approved journals. I hope my quest for learning will go a long way in my teaching career and as a researcher it will further boost up my abilities.